If there is one thing that I can’t stand more than anything in January, it’s Martin Luther King Jr. Day on social media. I’ve grown tired and sick of being tired of people who normally STAN for white supremacist practices, dole out quotes by MLK Jr. to make themselves feel better. When I was in seminary, one of the bitter experiences that will always stick with me was a chapel service where then-Senator Obama was praised as the culmination and fulfillment of Reverend Dr. Martin Luther King Jr.‘s work. In fact, I do recall a friend was wearing a shirt that suggested just that! In a recent lecture and subsequent q & a session with students at the University of Rochester, political studies professor and MSNBC analyst Melissa Harris-Perry talked about how a more human, less divinized, messier approach to King Jr.’s legacy should be the key to winning a more progressive future. Ideas are what matters, they are what last and change the world. MLK Jr. wasn’t shot down for his beliefs. MLK Jr.’s and the women, the other adult men, and children who marched with him, their bodies were not tortured because of their abstract notions of equality, their patriotic love for the U.S. Constitution, or their religious fervor. Bodily encounters are what change the world through praxis. Liberating Praxis changes things. Battles of ideas are waged through the mediation of human anatomy. We should stop looking at how Martin Luther King Jr. changed the world; let us ponder what changes he fought for, and how this world has remained stubbornly the same. What we should do, on this day, and maybe every day, is look at the values he embodied, and the places where he placed his body. Why was he joining janitors in Tennessee for a protest in his last days? Why did the White Supremacist media in the days of old (I’m looking at you, New York Times), condemn MLK Jr. for opposing the Vietnam War? You see, the Civil Rights movement was and still is a peace movement. One cannot separate the white supremacist logic behind domestic policies and neatly divide them from the Military-Industrial-Complex. War means an evaluation of which bodies matter, which bodies are to be valued over all others. Any military policy that kills indiscriminately, and disproportionately against one people group, is racist. This is why I don’t divorce my anti-racism from my pacifism, I never have, and I never will. Harris Perry and other black academic elites have supported President Obama’s drone policy uncritically, and I think it is time for them to reassess their values. 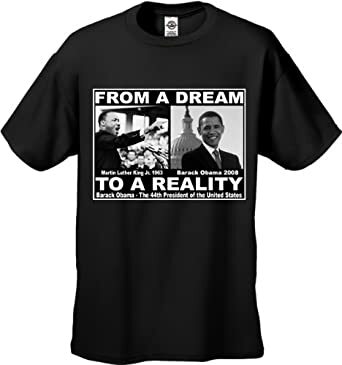 Reverend Jeremiah Wright is right, MLK Jr. had a dream, Nobel Peace Prize winner President Obama has a drone. I am under no illusions about how imperfect MLK Jr. was, but I do have a good grasp on what he stood for, and no matter how murky you try to make his figure, a tool for militaristic neoliberalism he certainly was not. Now, more than ever, the Church, and the United States do not really even need MLK Jr.’s ideas (ahem, uncritical commitment to the state via the Constitution is problematic); what we need is his model of practices for peacemaking. Cornel West on the legacy of Reverend Dr. Martin Luther King Jr. This entry was posted in Political Jesus and tagged empire, holidays, intersectionality, Martin Luther King Day, Martin Luther King Jr, nonviolence, pacifism, peace, President Barack Obama on January 20, 2014 by Rod T.